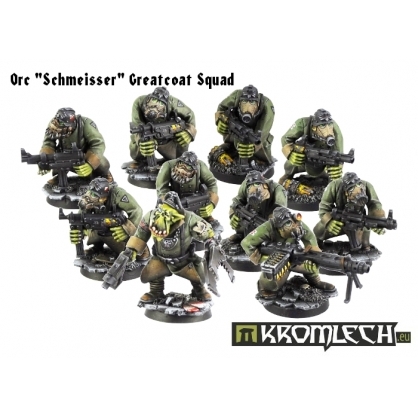 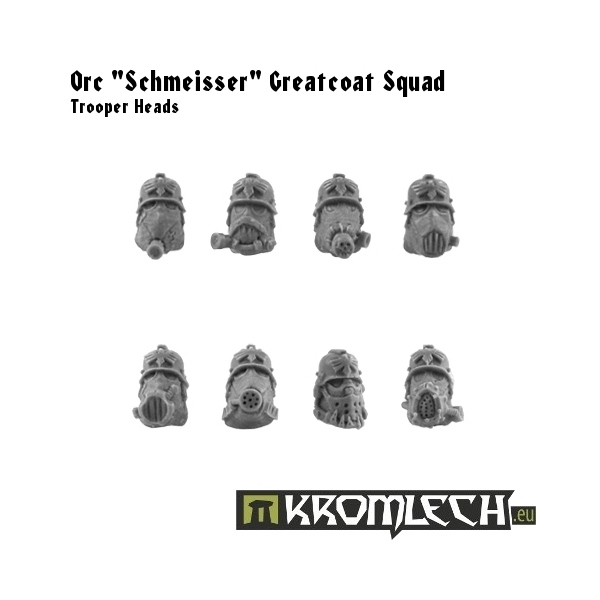 This set contains squad of ten highly detailed, resin Orcs in Greatcoats. 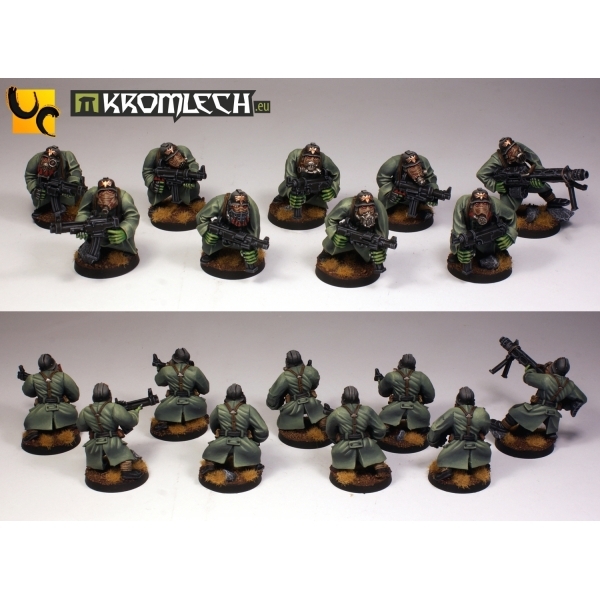 - ten 25mm round plastic bases. 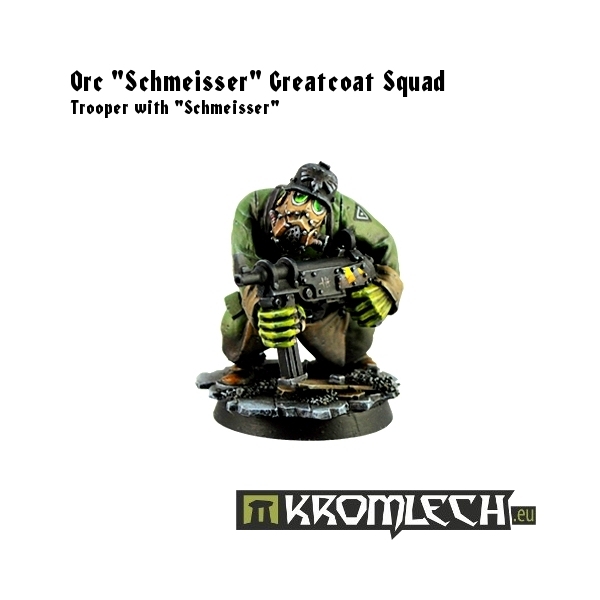 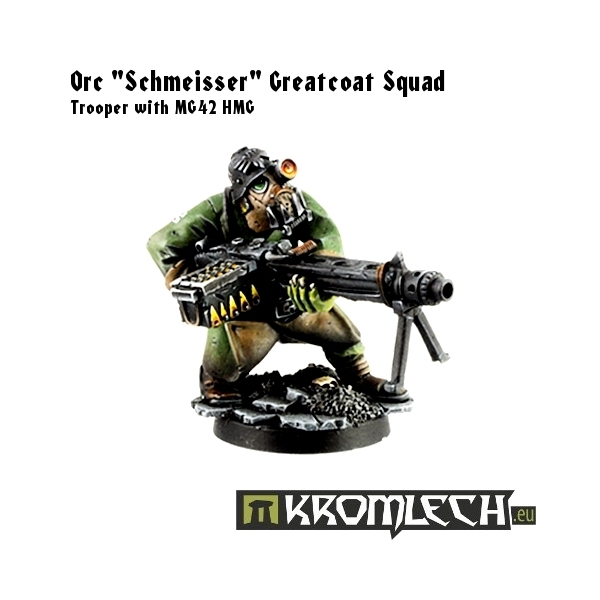 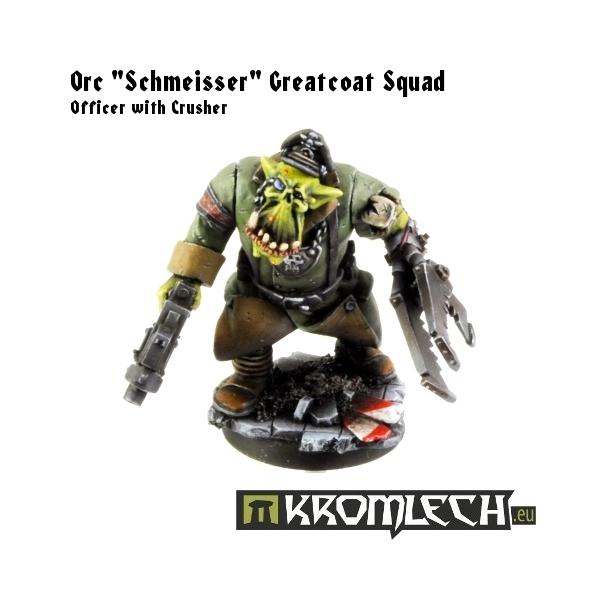 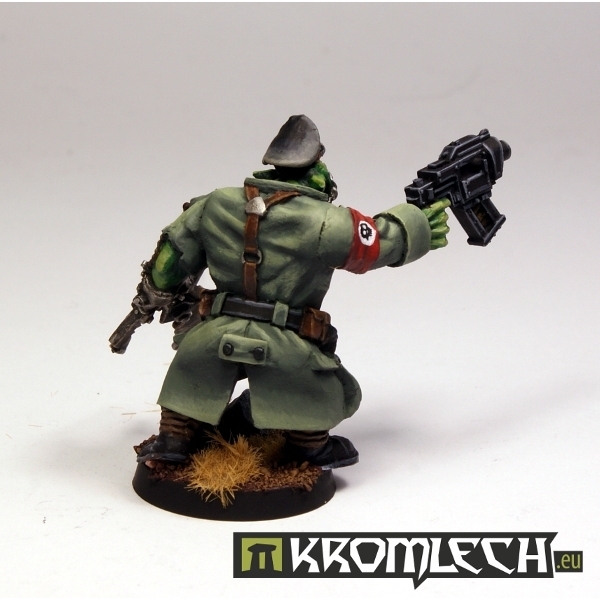 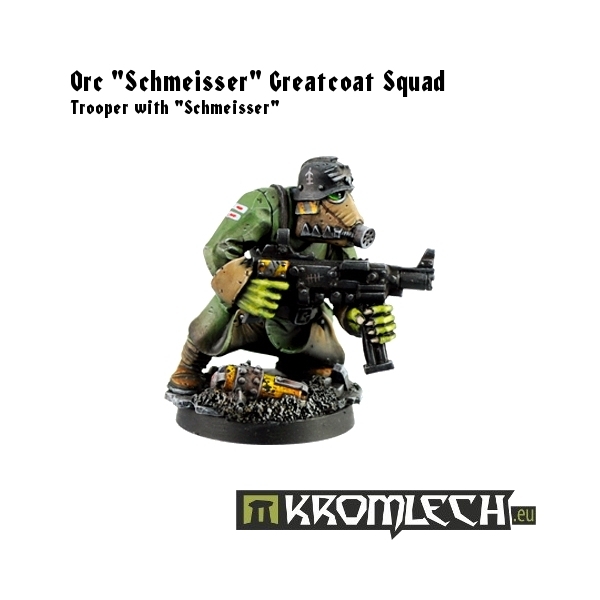 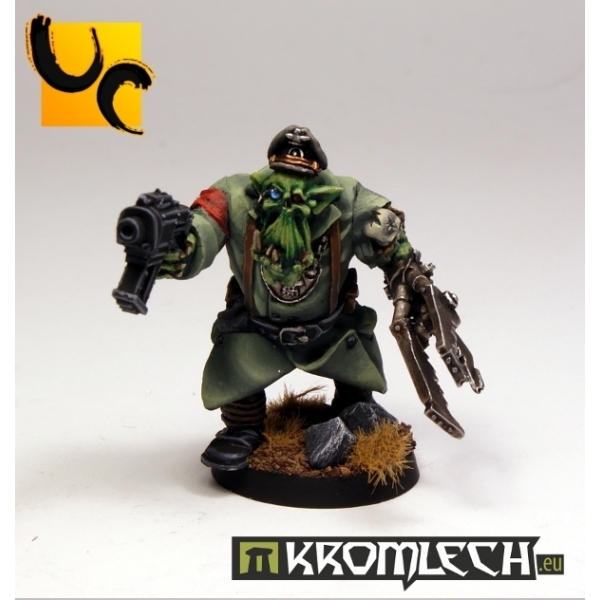 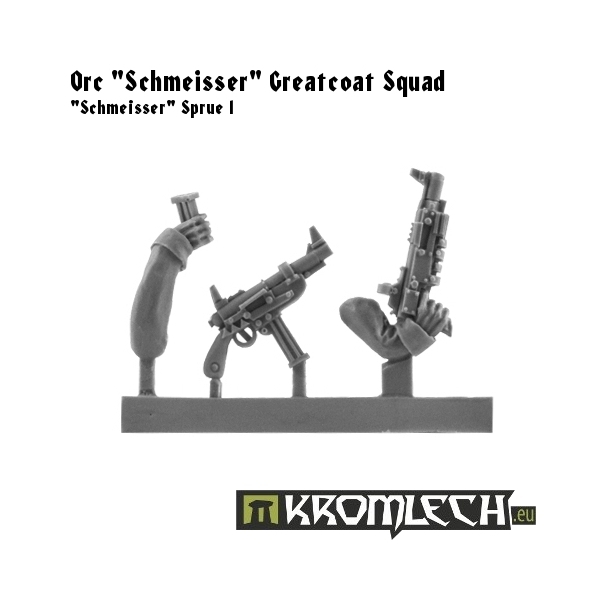 Orc Officer consist of 4 parts (body, head, Crusher arm, pistol arm). 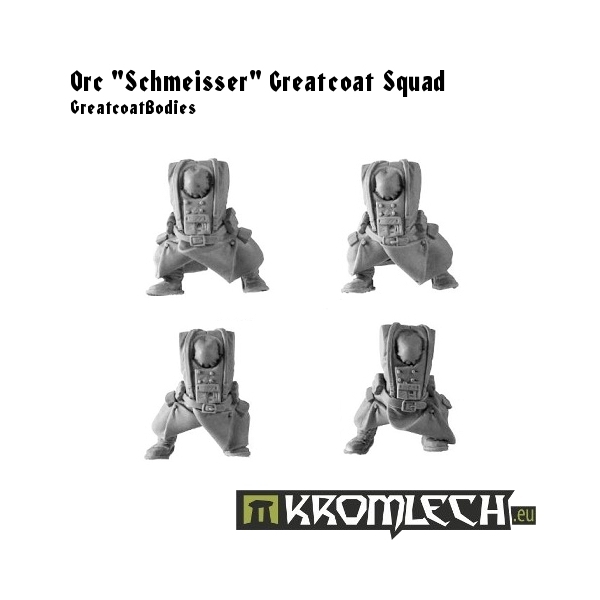 "Schmeisser" Orcs consist of various number of parts. 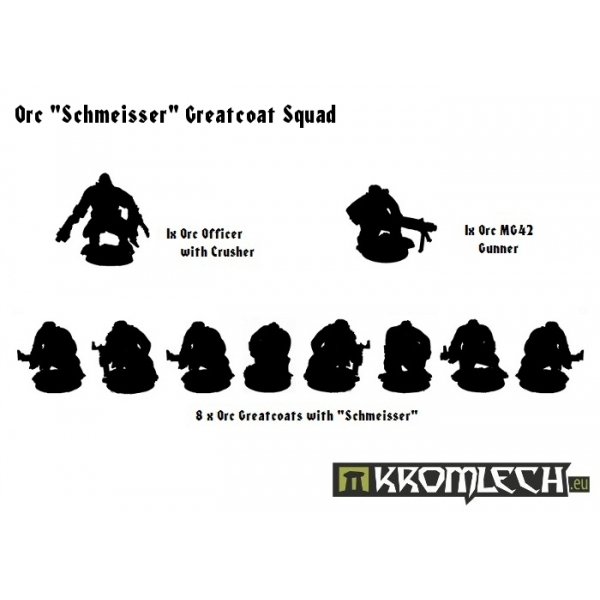 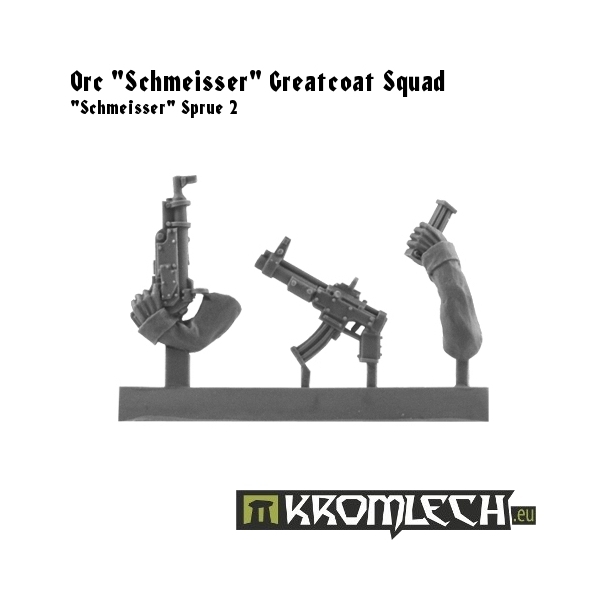 You get 8 greatcoat bodies with or without armour (4 designs - 2 each), 8 different heads (including new ones made specially for this set), "Schmeisser" sprues (2 designs - 2 each) and 4 sets of greatcoat arms.